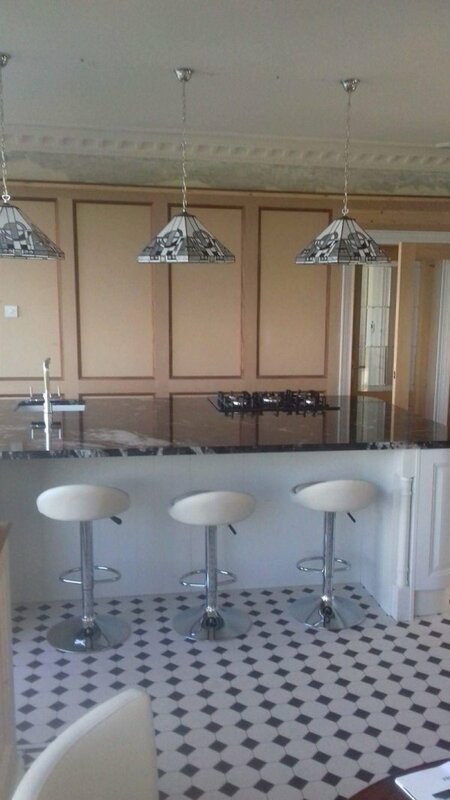 This is a Jefferson painted solid wooden kitchen with cosmic granite worktops. The customer have included built in dog bowls which have been recessed into the granite. They have included the gas hob in the island with a breakfast bar at the opposite side.